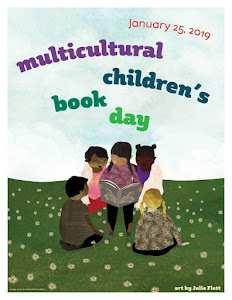 I love featuring educational children's books on this blog because I can still remember the feeling of wonder I felt when I learned how to read. The Purple Turtle series is not only adorable but the stories are fun and engaging for new readers as they learn how to read. Check out my review and enter to win a trolley with a set of 5 books! Welcome to a world of fun-filled learning with Purple Turtle. Purple Turtle Graded Readers by A1 Edutainment is an amazing new reading program that is ideal for emerging readers. 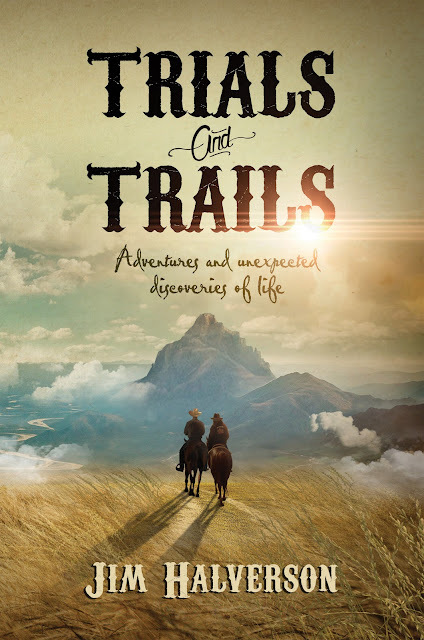 The second level includes a set of 12 books with 12 interesting stories and several engaging activities that is likely to make learning an enjoyable experience. 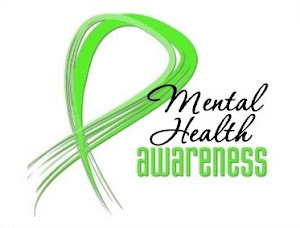 The book has a word count of 150-250 and is based on the ATOS and Lexile reading level system. This level is for readers who have just learned to read. 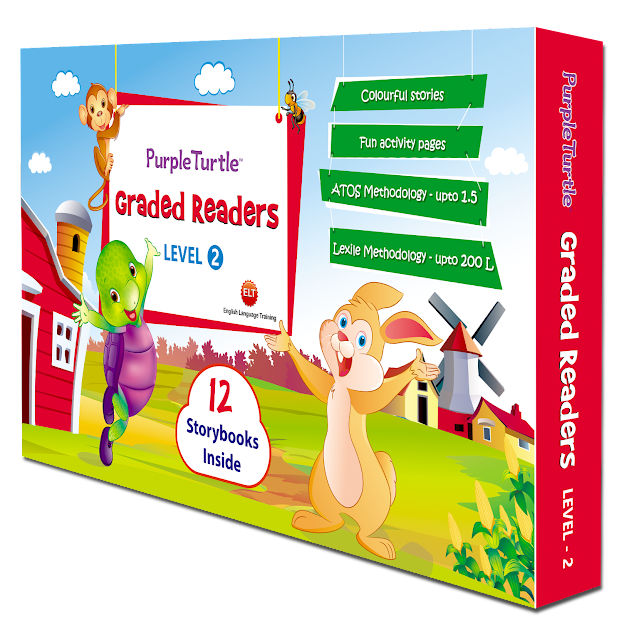 The Purple Turtle Graded Readers comes in a boxed set of 12 storybooks. These are 5X7 hardcover, colorful books featuring the character Purple Turtle, who is adorable and very likable, and his friends Roxy, Biggy, Zing and Melody. These are educational books and created for English Language Training for new readers. I noticed the text uses British spelling for the vocabulary, such as aeroplane and tyre. The Graded Readers boxed sets come in 3 levels. As stated on the back cover of each book, the first level features simple vocabulary, very simple sentences, picture clues and word repetition. The second level features simple sentences, predictable sentence structures and familiar themes. The third level features longer stories with complex sentences and an enriched vocabulary. It is evident that much thought has gone into producing these books with the methodology to teach children how to read well while learning new things. I received the Level 2 boxed set and was impressed with the stories and how fun they were. Each story is meant to engage as Purple Turtle begins each book by addressing the reader. There is excellent use of questions, appropriate themes for children in that age group and four pages of activities in the back of each book. I know I would have loved these books as a new reader! Some of the themes are: playing by the rules, learning about new animals at the zoo, the fear of going to school, learning to count sea animals at the aquarium, how to deal with feelings of anger, methods of transportation, astronomy, going on a holiday, and learning about the different professions. The Purple Turtle series and their illustrations reminds me of Franklin the Turtle series by Canadian author Paulette Bourgeois. My children loved that series and I can see that Purple Turtle has the same charm and appeal. Purple Turtle can help to instil a love of reading for children growing up in this heavy tech environment. I think the Purple Turtle Graded Readers set is an excellent tool for parents, early childhood educators and teachers to use in the home, in daycare, or at school. It is a worthy addition to any library where little hands can pick up treasured books. 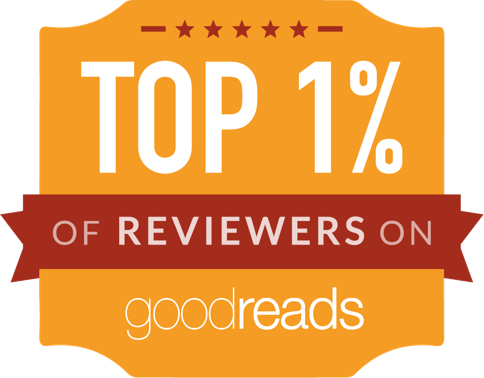 To read more reviews, please visit Purple Turtle's page on iRead Book Tours. Purple Turtle is India’s 1st International brand with its educational content in several languages sold in more than 30 countries including Russia, China, US and UK. The character of Purple Turtle has delighted children across the globe through beautifully created Purple Turtle books, rhymes and videos available on YouTube. Purple Turtle was created with the idea to spread education through a wide range of innovative books for children. To give them the experience of convenient online learning, Purple Turtle also brings both learning and entertainment on a common platform to give a wholesome learning experience to young minds. Thanks for this delightful feature and giveaway which would be ideal for my 4 grandchildren who love books and reading.